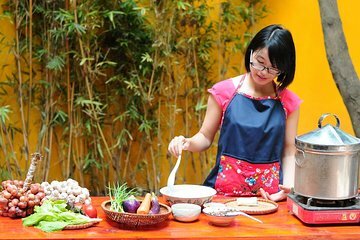 Immerse yourself in Vietnamese culture and discover the secrets of Vietnamese cuisine on this Hanoi tour. Enjoy a leisurely bike ride around Hanoi’s residential neighborhoods, shop for ingredients at the market, then take part in a cooking class with a local chef at their home. Create a variety of traditional Vietnamese dishes, then sit down to enjoy a delicious homecooked lunch.